On June 29, 2017, it came to the attention of Charity Navigator that Good Days is the subject of an investigation by the IRS according to an article titled, "Charity Funded by Drugmakers Draws IRS Probe on Tax Exemption." 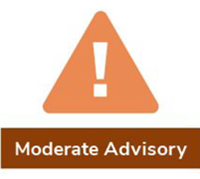 For this reason, we have issued a Moderate Concern CN Advisory. For more information regarding the charges reported, please see the Bloomberg article.